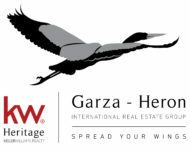 View all homes for sale in San Antonio under 200k. San Antonio is a city in south central Texas, which has a beautiful 18th century Spanish mission preserved as a museum called The Alamo. Which marks the notorious battle in 1836, for Texan independence from Mexico. Below you will find homes with up to four bedrooms and with beautiful designs, all of this for less than $200,000.